Suanne and I consider Ed and Christina from Doesn’t Tazte Like Chicken as people with sharp mouth. No, I am not saying that they talks a lot. That is a literal translation from the Cantonese expression “Tsim Tsui”. They know food very well alright. We had been meeting over dinners once every few weeks. It was our turn to select the location and this time, Suanne and I picked the Tamarind Hill Malaysian Cuisine located in New Westminster. The choice was a hands down choice for us as we know Malaysian food very well. 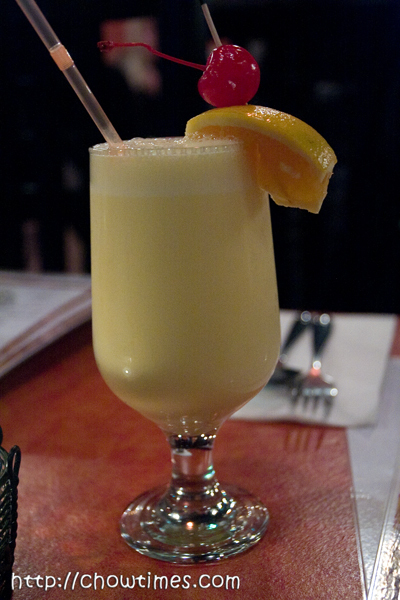 Tamarind Hill is located on 628 6th Ave. It is located right in front of the Royal City Center’s 7th St parkade entrance. There are lots of street parking but I warn you to be careful about trying to park at the Royal City Center and walking over to the restaurant. We tried to park at the parkade and noticed that there was a guy sitting in a car watching for non-customers parking in the parkade. Never wanting to take a chance, we drove out and parked in the street. Be warned. 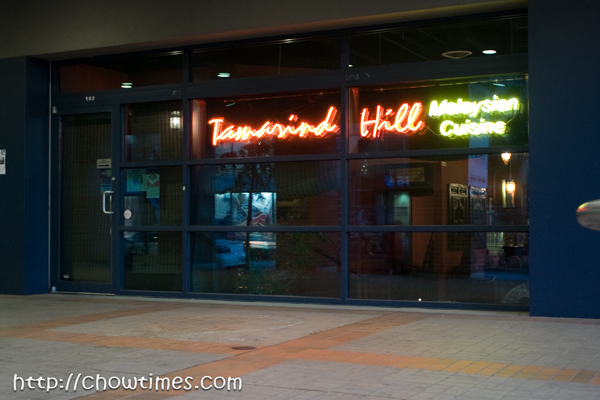 We were all surprised to see how popular Tamarind Hill was on the Saturday night. It was unbelievably packed that night. Moreover, most of their customers were white which is unexpected for us to learn how popular Malaysian food is. We love the place. See above … they do have the coolest looking waiting area, don’t you think? The dining room is really tight though with chairs and tables packed close one to another. We were so close to our neighboring table we could smell their food … and I am sure they can do ours too. Updated: 24th Dec 2014; This restaurant is closed according to Urbanspoon.com. For this cake meet, Polly and I invited Angie to meet at La Petite France. 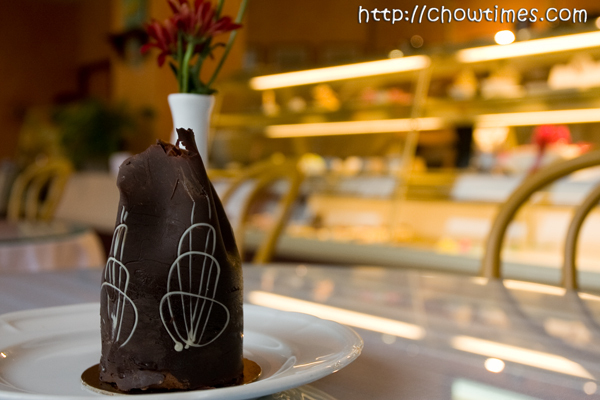 Although Angie is not a big fan of cake, she will join us for cake meet once in a while. It’s the company of friends that counts. 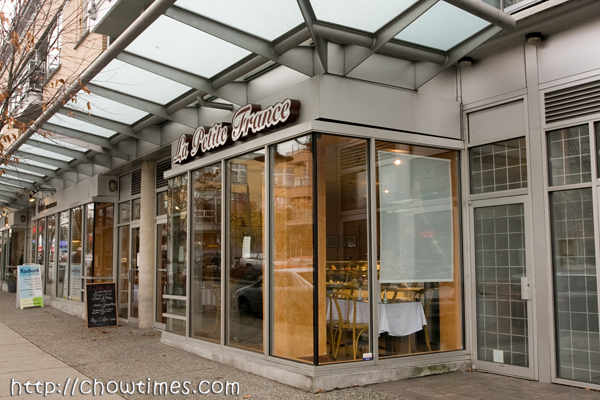 La Petite France is located at 2655 Arbutus St, Vancouver. We find that the neighborhood is pretty quite during our visit there. 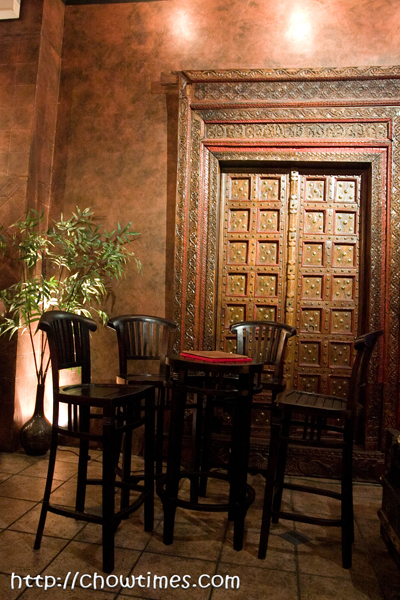 La Petite France’s decor is simple and elegant. We felt warm and cozy. The back ground music is obviously in French. 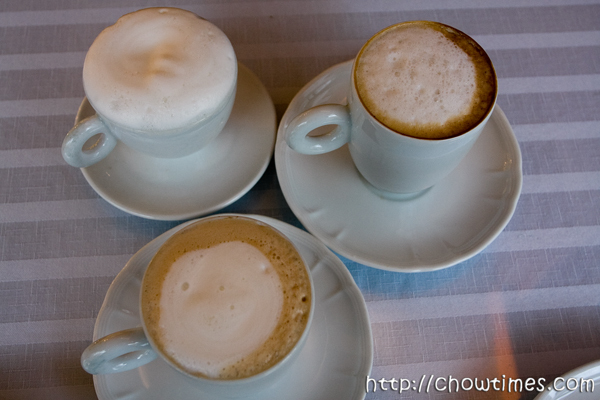 We ordered Latte and Cappucino for our drinks. They are $3.40 each. 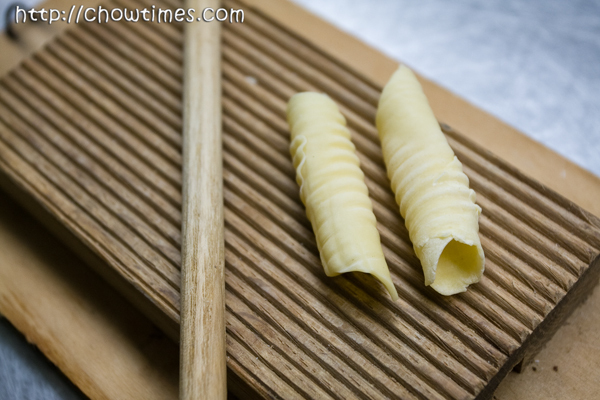 Garganeli is a tube noodle which is rolled up from a square piece of pasta. Jane also brought along one gadget to make Garganeli. We love to learn how to use all these gadgets which we are not familiar with. The gadget is a simple rectangle wood block with ridges and a slim rolling pin. I would not have known the usage of this gadget without the demonstration. This is how it’s done. Place a square piece on the wood as shown above. 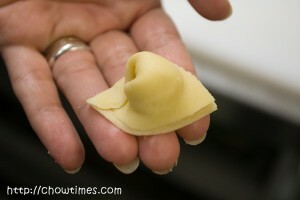 Use the slim rolling pin to roll up the pasta to midway. 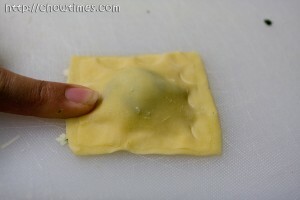 Place your hands on both end and roll firmly until the pasta is totally wrapped and a tube is formed and sealed. Remove the hollow tube from the rolling pin. Cover with plastic wrap or towel until they are ready to be cooked in salted boiling water. 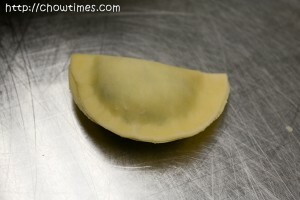 Since this is made with fresh pasta, it will be cooked in 2 to 5 minutes. Garganeli is best served in meat sauce as it’s catches the sauce in the tube. 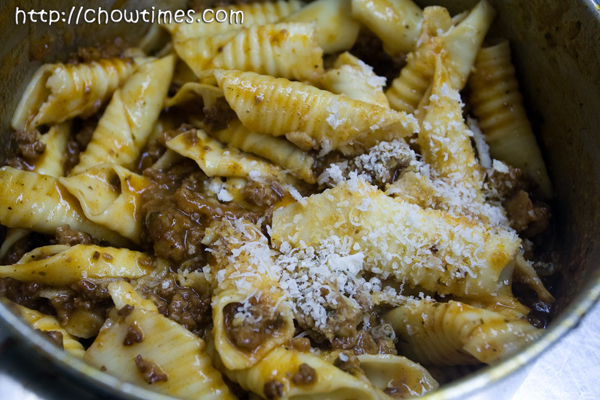 Just toss the cooked Garganeli in a meat sauce and garnish with some shaved Parmesan cheese. Jane, thank you so much for showing us how to make various types of fresh pasta from scratch. Besides making angel hair and fettuccine, Jane also demonstrated to us how to make various filled pasta using the freshly made pasta. 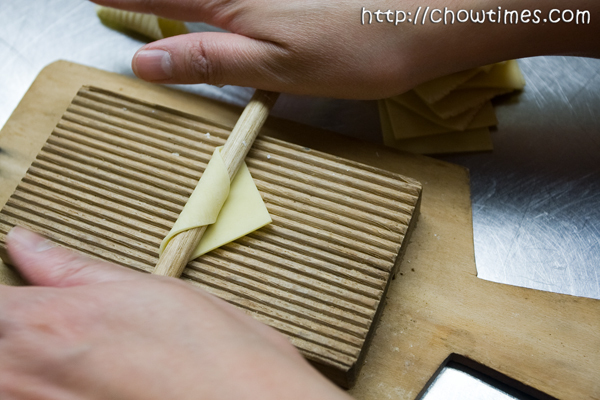 To make pasta with filing, begin cutting the pasta sheet while still moist once the pasta sheet had been rolled out to the thinnest stage. I know this is like shameless self-promotion … guilty as charged! We are hoping to get a little bit of visibility on the Vancouver blogosphere. All these while Suanne and I had focused on networking with local food bloggers but we thought it would be great to expand our world a little bit more. You see, there is a Metro Vancouver Online nomination launched this week. The local Vancouver website is currently seeking nominations for the best sites in Metro Vancouver. They are conducting the nomination process for various site categories, including food related sites located on the 604 area code (that’s Vancouver for you non-Vancouverites). 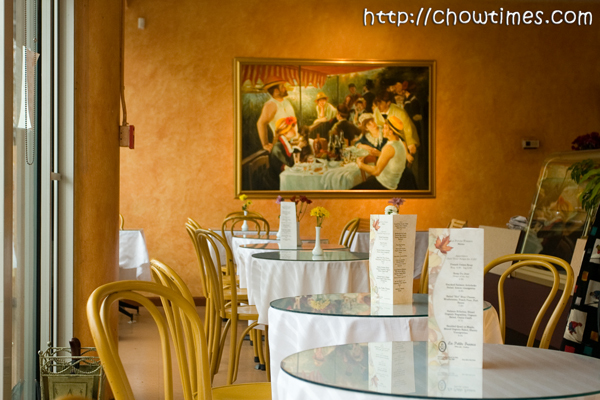 So … I was wondering if anyone of you would care to nominate chowtimes for the Best Food Site or Directory category? If you do, you can put in your nomination for your best food site through THIS PAGE. Nominations starts today and ends mid next week. 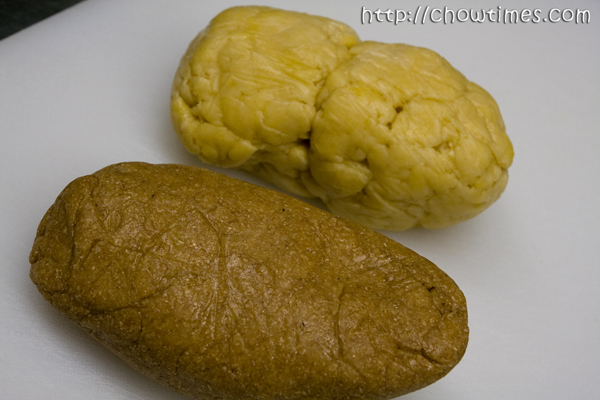 Update 27Nov: Hi All: We did not realize that there will be so many readers who had nominated chowtimes. Thanks for all the support! I think the nomination is enough as for now! The nomination will end mid next week and immediately after that will be the voting phase. Once again, THANKS! Jane demonstrated how to make fresh pasta in the Gilmore Park Church Community Kitchen. I had introduced Jane as a school teacher for 25 years in previous blog. Jane was married to an Italian and she had lived in Italy for 8 years. For the many years Jane lived in Italy, she told us that she still can’t pronounce Italian words with one p and double p differently as the Italian do. As an experienced teacher, Jane started off her demonstrations with a brief introduction to the geography, culture and food of Italy. We can see that she is a good teacher. Jane prepared the above two dough from all purpose flour and whole wheat fine ground flour early in the morning using a bread machine. Jane will demonstrate to us how to prepare the dough by hand from scratch later in the kitchen. 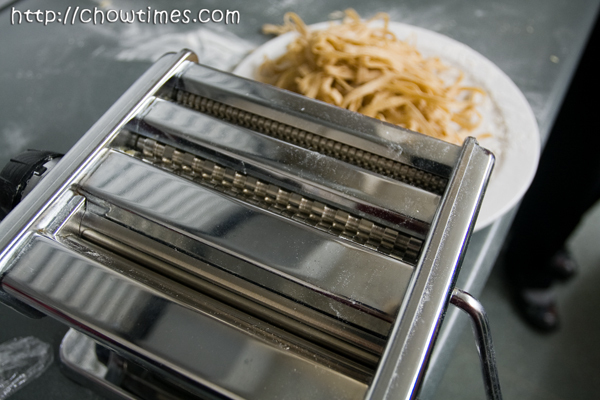 One important tool to make fresh pasta is a sturdy pasta machine. The above pasta machine has 3 slots, one for rolling the dough into thin sheet with adjustable thickness, another for cutting the dough sheet into wide flat noodle like fettuccine and a last slot for cutting the dough sheet into thin noodle like angel hair. 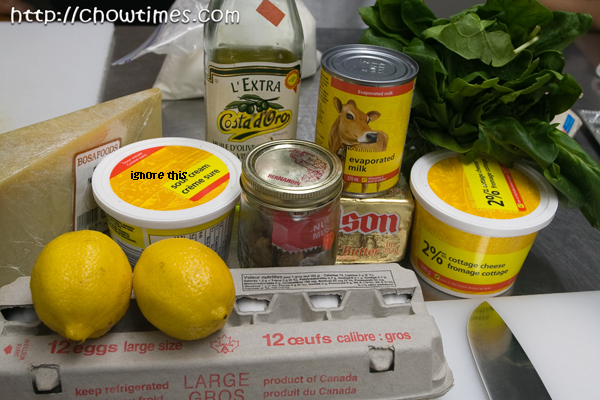 Eggs – roughly 1 egg per one cup of flour; quantity varies according to the type and humidity of the flour and the size of the eggs. For our demonstration, Jane used 2 cups all purpose flour and 3 eggs and 1/4 teaspoon (1 ml) salt. You have no idea how stressed both Suanne and I were when chowtimes account was suspended for two agonizing hours this afternoon. After a frantic call to our web host support line, we were told that the account had been suspended because a traffic spike had frozen the MySQL database. They refused to reinstate the account unless we take steps address the issue or move chowtimes out of their shared servers. 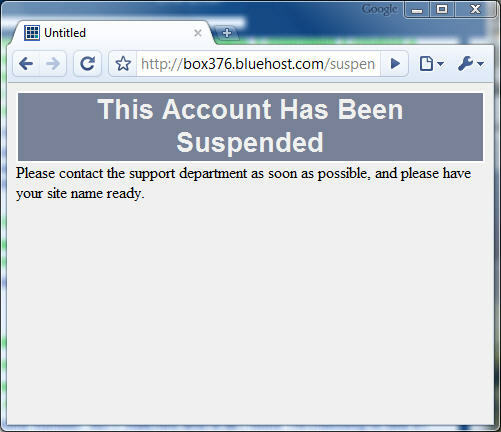 We had encountered our account being temporarily suspended before … but each time, it was just for a few minutes before the admin folks restarted the site for us. The temporary suspension happens especially when we get Stumbled Upon. I guess they got fed up with chowtimes and decided to categorize us as “spam”. After some quick research, we finally installed a plugin on WordPress call WP-Super-Cache. Oh man … chowtimes is like a speed demon now. We should have done this ages ago. I think you will like the blazing loading speed now. It’s good now … it’s all good … life goes on. Polly and I met up again for our sweet fix. It’s been a challenge for us to find a new place in Richmond as there are not many of such places for us to go. 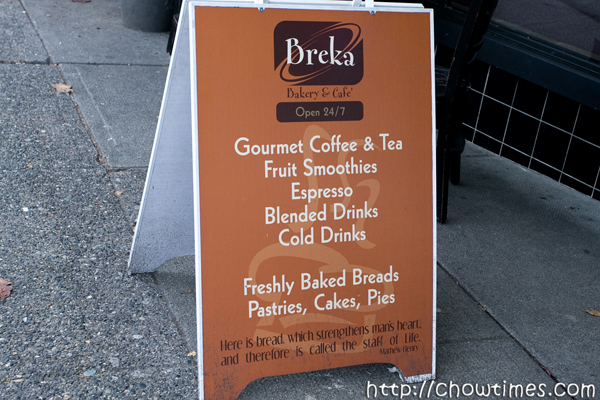 We found Breka Bakery & Cafe from google search and most of the reviews are on the positive side. 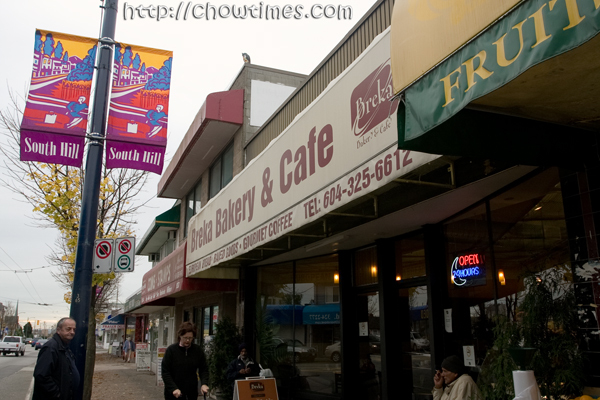 Breka is located at 6533 Fraser St and there is a bus stop just steps away from the bakery. We were quite surprised to find out that this bakery is open 24/7. We were just wondering how many people will be visiting a bakery in the middle of the night. Breka must have good traffic to justify the 24/7. It’s Mona and my turn to demonstrate in the South Arm Community Kitchen. 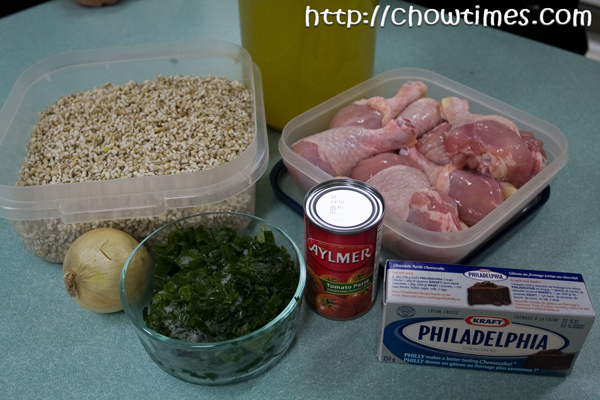 Mona made a German dish called Barley Chicken Stew for the main dish while I made Malaysian Fruit Rojak for dessert. I had blogged about the Fruit Rojak here. 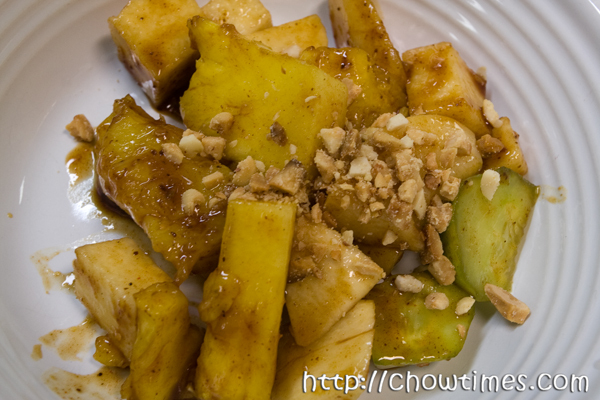 The Fruit Rojak was accepted well even though it is a little too spicy for some of the members in the group despite I did not add Thai chili to the dish. The only problem is the confusion of the origin of the dish where I kept hearing people saying Thai or Indonesian when they mentioned about the rojak. 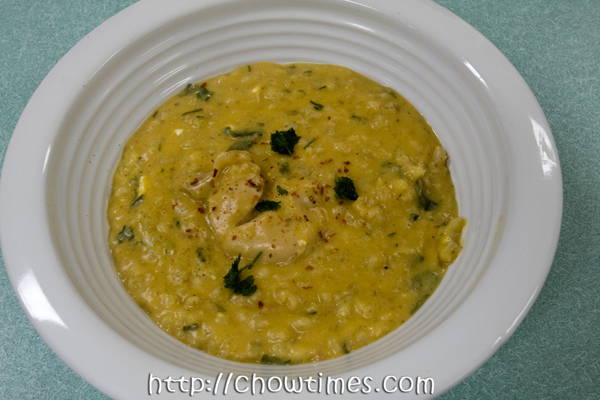 The Barley Chicken Stew is a very hearty meal and it’s very filing too. It’s a great dish for cold weather. 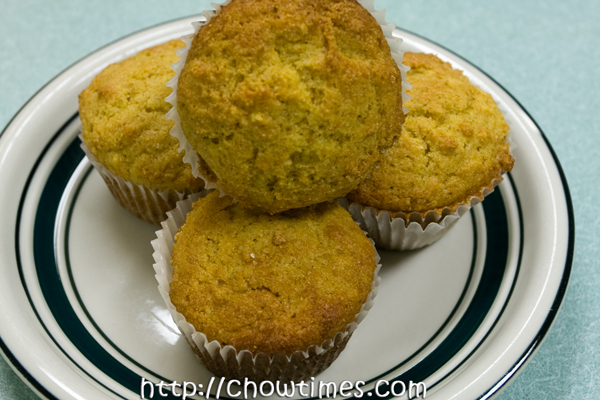 Another new member of the kitchen, Jane, brought some corn meal muffin to share with us. 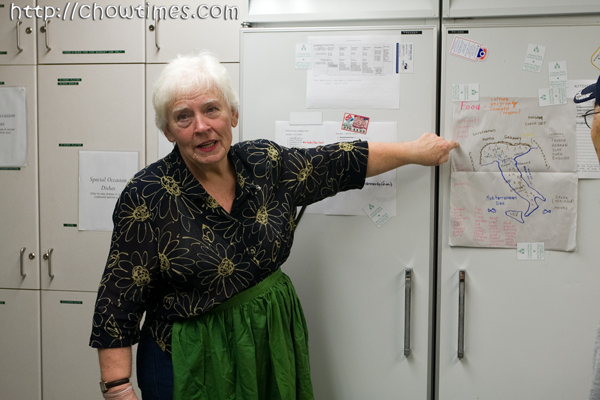 Jane was a school teacher for 25 years, teaching cooking in school. We hope she will share with us many of her culinary skills. Mona made her own chicken broth with chicken bones and she added tumeric to the chicken broth for colour. Mona also bought organic pearl barley for about $5 per kilo from Galloway which is just 30% more expensive than regular ones. She also brought her own frozen chopped green onion and parsley which she planted in her garden during summer. Polly and I had wanted to try something other than cake. 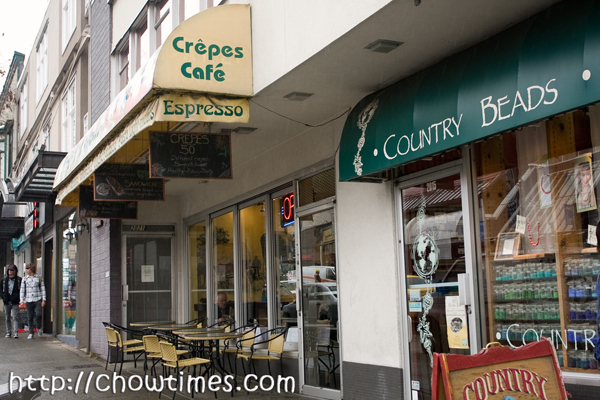 When we drove down Granville St, we always noticed a Crepe Shop and had wanted to try it but never got to do it. A few weeks ago, I saw a small write up in the newspaper about a Crepe Cafe and it said that it’s one of the best crepe shop in town. So, Polly and I decided to try out this Gypsy Rose Crepe Cafe. Gypsy Rose Crepe Cafe is located at 2017 West 4th Ave, Vancouver. This is a family operated cafe. 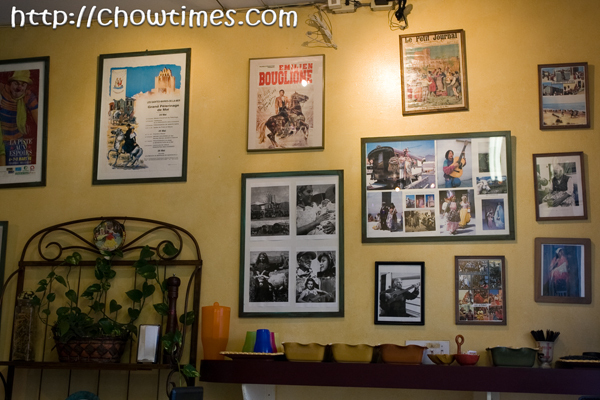 Once you step into the cafe, you are greeted with a wall of pictures of gypsies. Perhaps, the inspiration of the shop name came from the decor or the name of the shop inspires the owners to decorate the shop with gypsies’ pictures. 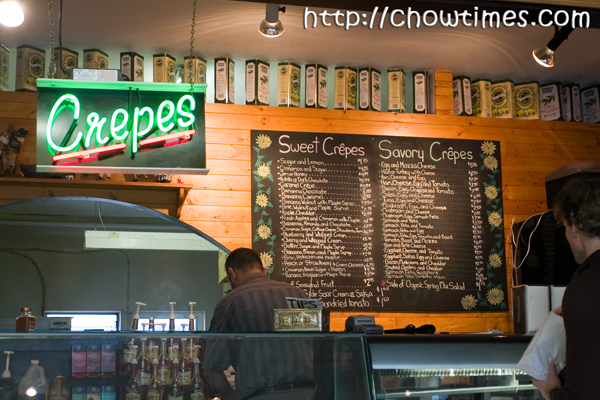 There are over 50 varieties of sweet and savory crepes to choose from. 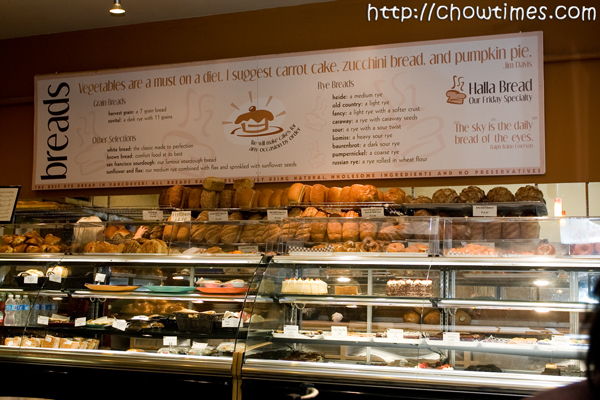 They also serve specialty coffee and sandwiches from fresh ingredients. 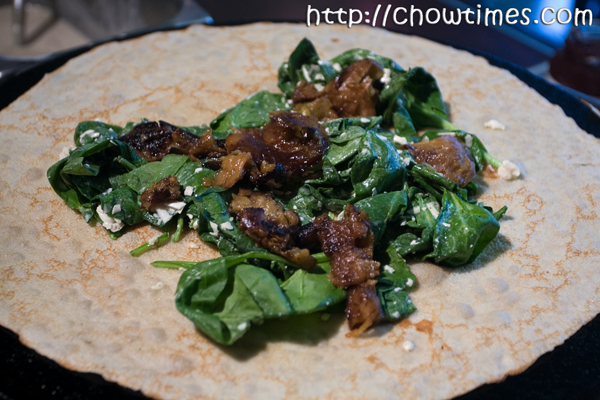 Polly and I decided to order one sweet and one savory crepe to share.